If you’re after fragrant, generously spiced, utterly delicious Indian food, you needn’t travel far: after all, London is simply brimming with incredible curry houses. 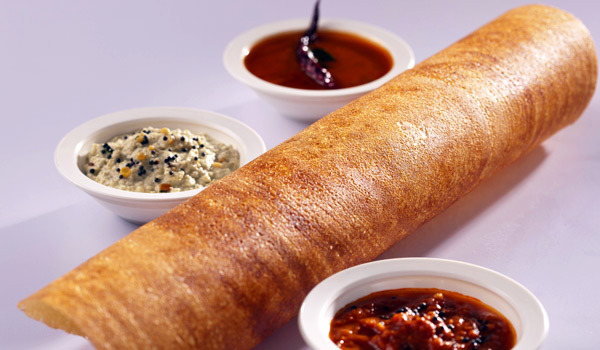 And for South Indian staples – including airy dosas, brightly flavoured fish curries, plates with lashings of coconut and tamarind, and heaps of rice – there are more than a fair few places to sate your appetite. 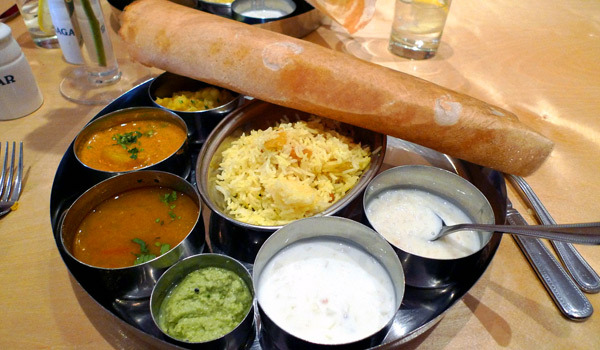 These eight South Indian restaurants in London range from hole-in-the-wall hideaways to glittering, Michelin-starred addresses, but no matter the ambiance, all are certain to leave you contentedly well-fed. 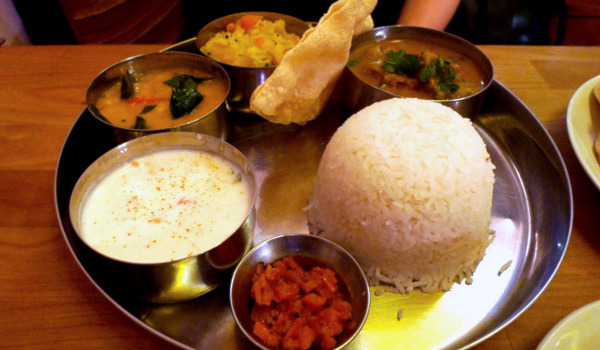 Though its unassuming exterior and its Tooting location put this eatery off the prime tourist track, Apollo Banana Leaf certainly ranks among the best South Indian restaurants in London. Focusing broadly on Tamil fare with some Sri Lankan dishes alongside, the restaurant’s richly flavoured cooking is complemented by its wonderfully kitsch interior. The croquette-like mutton roll and chilli-laced crab masala both come highly recommended. While the acclaimed Cinnamon Club isn’t strictly a South Indian restaurant, its menu includes plenty of fish and seafood curries, as well as other plates featuring southern flavours. To begin your culinary tour of the region, start with Malabari mussel and date pickle on toasted brioche before opting for spice-crusted halibut with tomato tamarind sauce and ginger jaggery pickle. 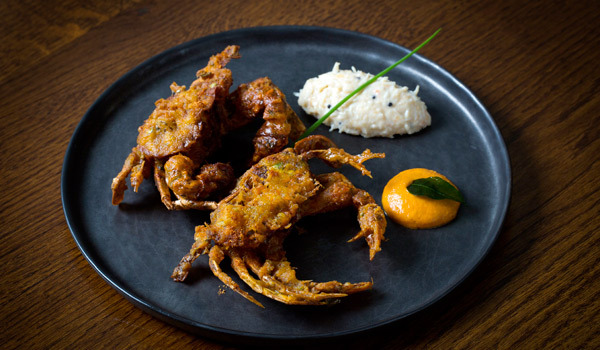 Nestled in an enclave in Peckham, Ganapati‘s cosy atmosphere makes it a favourite of neighbourhood denizens – the restaurant recently celebrated its 10th anniversary. Ganapati also has artistic credentials: every few months, the restaurant hosts gallery shows by local artists. A bit of colour, then, serves as an excellent complement to the authentic cooking. Try seafood dishes like chemmeen manga and kattanam prawn curry – South Indian favourites that are rarely found on other menus. 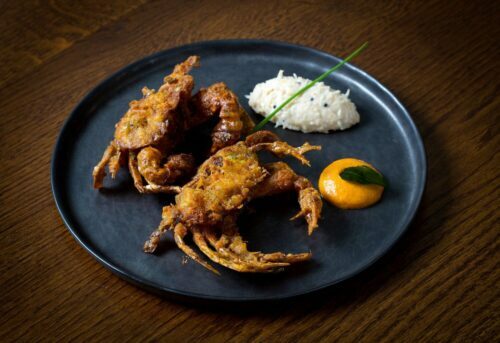 When it comes to the best South Indian restaurants in London, it’s hard to do better than Quilon. 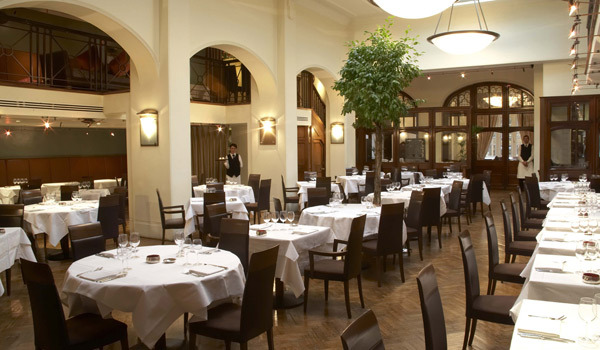 The Michelin-starred restaurant is overseen by acclaimed Chef Sriram Aylur, and is a favourite for those seeking a fine dining experience. Dishes feature haute twists, though the menu stays true to its coastal, southwestern flavours. 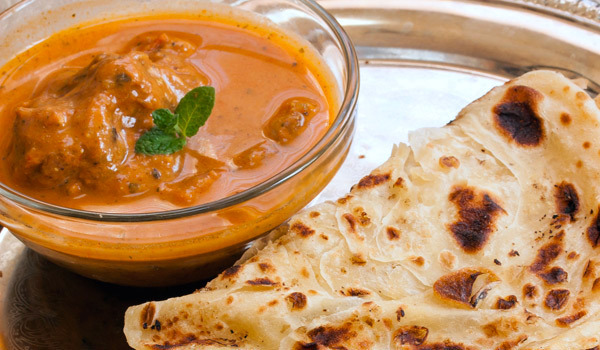 Indian cooking has mastered the art of the delectable, meat-free dish, and Sagar, which has several locations in London, celebrates that vegetarian bounty. 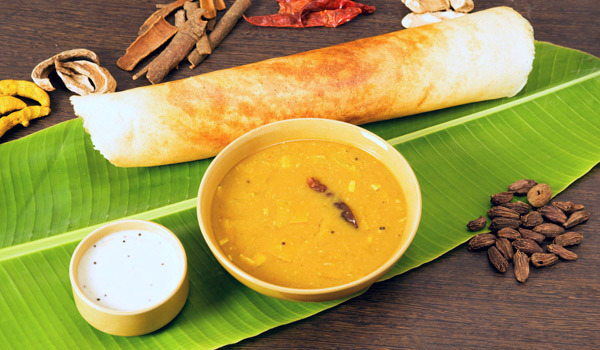 Here, the South Indian credentials are highly localised: the restaurant’s chefs hail from the small, coastal town of Udupi in Karnataka, and hone in on its flavours and local dishes. Against the backdrop of an elegant, airy white dining room, the vivid colours – and equally vivid flavours ­- of Trishna‘s dishes sing. 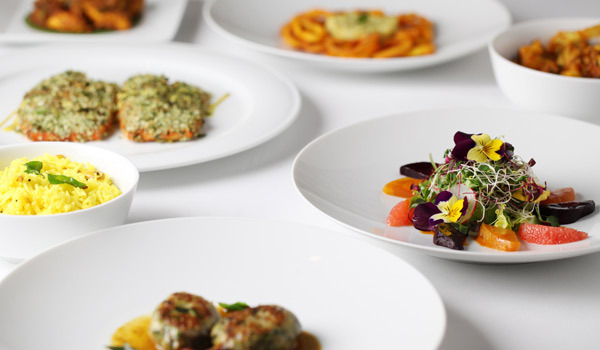 The Michelin-starred eatery focuses on coastal South Indian dishes, combined with freshly sourced British ingredients and seasonal produce. Sommelier Sunaina Sethi has a knack for pairing these complex dishes with partner vintages – order a tasting menu to try the best of both.